The Indigenous People of Biafra (IPOB) have vowed that Ohanaeze Ndigbo (the saboteur group of Igbo quislings), will not be allowed to hold their planned summit at Awka, in Biafraland. 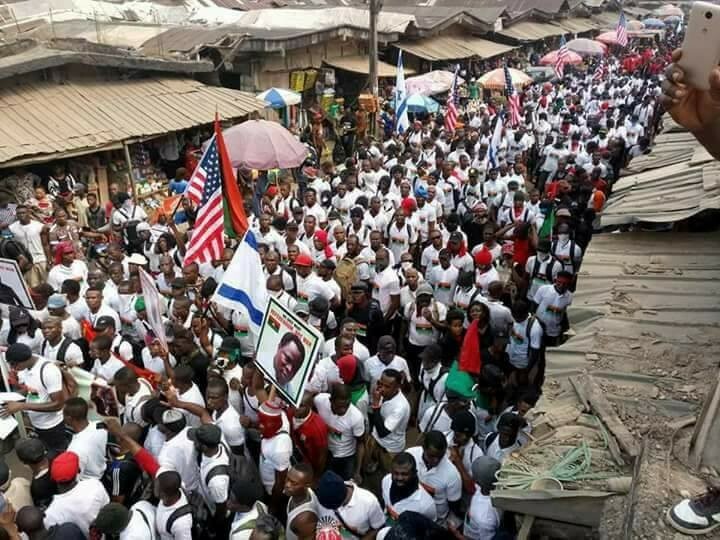 In a Press Release from IPOB Media and Publicity Secretary, Emma Powerful, the group promised to flood the whole of Awka with Biafrans that the saboteur group will not see how to navigate their ways to the venue. We the Indigenous People of Biafra (IPOB) and its leadership worldwide wish to draw attention of all Biafrans, both home and abroad, that 21st May 2018 is the D-Day Chief John Nnia Nwodo and his Ohaneze Ndigbo group have slated to kill Biafrans once again in our land. Nnia Nwodo has managed to convince himself and some Igbo politicians beholden to Sokoto caliphate into using their Restructuring Nigeria Summit as a cover to further enslave our people for another 100 years. To make us loyal servants of Fulani caliphate and entrench irreversible Arewa Islamic hegemony in Igbo parts of Biafraland forever. These are the same people that instigated Operation Python Dance II that led to the murder of hundreds of IPOB youths, due to their hatred for Biafra and everything Nnamdi Kanu stood for. These traitors cannot be allowed to celebrate their betrayal of our freedom using the cover of a summit. 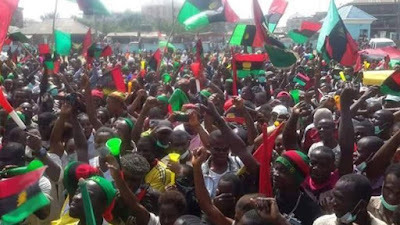 IPOB had since warned Nnia Nwodo and his collaborators in Ohaneze not to bring their one Nigeria summit to the heartland of Biafra but they remain adamant. The only way this summit can hold is over our dead bodies on the 21st of May. It seems Nnia Nwodo and his Ohaneze Ndigbo don't understand the language of liberty, we shall meet them head-on in Awka on the 21st at Ekwueme Square. They better bring enough squadron of their Fulani soldier friends as always to provide them protection because the summit will not hold. We are urging all IPOB families to mobilize to storm not just Ekwueme Square but to saturate the whole of Anambra State and Awka from all directions on the 21st of May, 2018. Awka will be occupied from midnight of the 20th of May to 5pm on the 21st. They should watch and see what shall become of them. History will record the 21st of May 2018 as the day traitors, saboteurs, slaves and quislings lost their stranglehold on the destiny of our people. It is clear that other ethnic nationalities have observed and realised that there is no hope left in the crumbling corrupt colonial edifice known as Nigeria. But Ohaneze Ndigbo as always have chosen the way of self-centered politics like Late Dr. Nnamdi Azikiwe in pushing on with the perverse notion of sustaining the same one Nigeria that is responsible for the death of millions of our people. The same mistakes of the past are being repeated by Nnia Nwodo and his gang. Azikiwe's politics of one-Nigeria is what put us in the mess we are in today. We have been reduced to lower than fourth class citizens, hated and despised by all, for no other reason than our God given hard work ethic and ingenuity. The most courageous and intelligent black race in the world has been reduced to a group of selfish petty traders engrossed in the art of buying and selling to the detriment of their survival. We IPOB family members cannot afford to allow the future of unborn generations to be mortgaged by a greedy, shortsighted Ohaneze Ndigbo through whom Fulani caliphate has been exercising undue control over our lives for years. Ohaneze Ndigbo and its leadership are at liberty to conduct their restructuring and preservation of one Nigeria with their children in Lagos, Abuja or Kaduna not anywhere on Biafran soil. When the disastrous consequences of Nnamdi Azikiwe's one Nigeria mindset exploded as thousands of deaths in the 1966 pogrom and later a genocidal war, it was left to Chukwuemeka Odumegwu Ojukwu and his gallant Biafran army to pick up the pieces in a brutal war that cost over 3.5 million lives. What shred of dignity we have today was because of the efforts of those heroic Biafran soldiers between 1967 and 70. 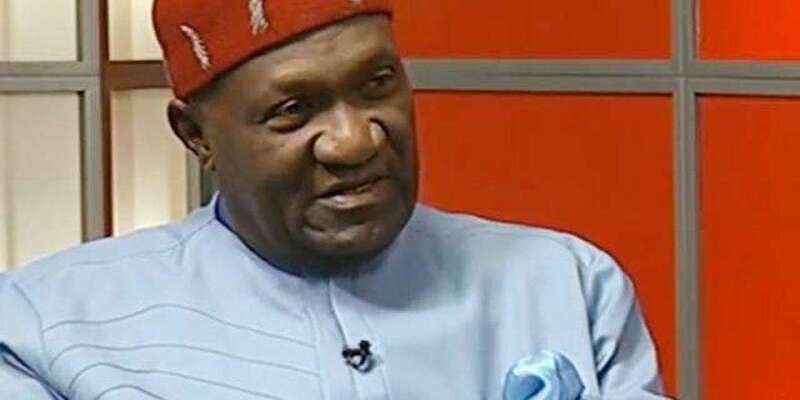 We note with trepidation that the same costly experiment and mistake of Dr. Azikiwe is what Ohaneze Ndigbo led by Nnia Nwodo are hell bent on repeating because of the promise of a vice Presidential slot. We look forward to meeting Nnia Nwodo and his Fulani soldiers in Awka on the 21st of May 2018. They better come prepared.